How music from the 8-bit video game era has inspired an entire generation of modern musicians and created new musical genres. Hey all, Ernie here with another piece from David Buck, who's currently in the midst of following his Nintendo muse. Feel free to follow along with him! Editor's note: Just an FYI that our piece the other night may have had some trouble getting to your inbox due to the subject matter, which was about a topic email clients sometimes don't like. Just in case, here's that link again. Sorry if we missed the target. — Original Super Mario Bros. composer Koji Kondo, explaining why the original Super Mario Bros. soundtrack is one of his favorite works, in Andrew Schartmann’s book Koji Kondo’s Super Mario Bros. Soundtrack. In this installment of the 33 ⅓ book series, Schartmann explores Kondo’s compositions in-depth, but more telling is how Kondo managed to compose iconic music—that is still used/sampled in modern Nintendo games—within the confines and limitations of the NES sound chip. Some of the most recognizable Nintendo themes were originally found in Super Mario Bros. The overworld theme from Super Mario Bros. frequently appears in many later Mario games. In Super Mario Bros. 2, it’s the subspace music and in Super Mario Bros. 3, it appears when Mario uses an item on the map screen to put the wandering hammer bros to sleep. In later games like the Game Cube’s Super Mario Sunshine, the theme makes an appearance in some of the difficult 3D platform sections and has an easter egg appearance in the Booster’s Tower section of Super Mario RPG on the SNES. These theme snippets, remixes and reprisals aren’t unique to the Super Mario series, either. The overworld theme music from the original The Legend of Zelda and the palace music from Zelda II: the Adventure of Link both appear in the Super Smash Bros. series and across several other games in the main Zelda series. 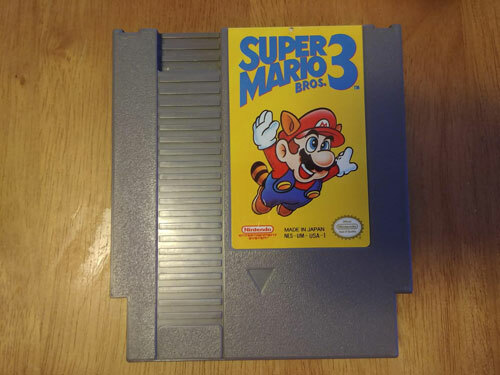 The thing that connects many of these tunes, besides the fact that they repeatedly show up in Nintendo’s history is the chip on which the tunes were originally heard, the 2AO3, a five-channel sound chip the NES uses in NTSC regions. 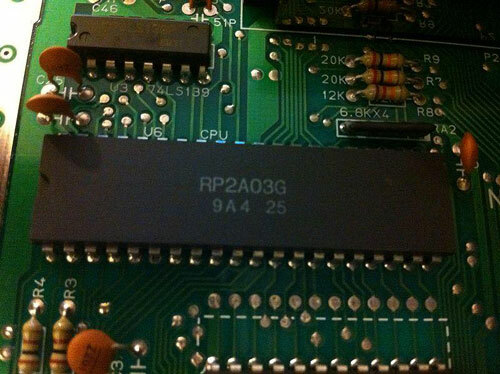 Shorthand for RP2A03, the Ricoh-manufactured sound chip has two pulse channels, one triangle channel, a noise channel and digital sample channel. The pulse channels produce square waves—typically the lead and melody—while the triangle wave channel is good for bass and drums. Noise is used for percussion and effects, and the differential pulse-code modulation (DPCM) channel plays low-quality samples. While it isn’t my favorite sound chip—that honor goes to the C64 SID chip—it’s responsible for the iconic sound of the NES and some of my favorite video game tunes. And, of course, Nintendo wasn’t the only one doing fantastic things with chip. Konami’s Castlevania series had “Vampire Killer” and “Bloody Tears,” both of which made appearances in later games. They also pioneered a way to add additional channels with their VRC6 audio mapper. Tecmo displayed superb music with the Ninja Gaiden series, while Sunsoft—of Blaster Master, Batman and Fester’s Quest fame—boasted nearly orchestral sound with most of their work. Capcom’s Mega Man series boasts some of the most rocking, memorable themes on the NES and any game from Rare—Battletoads, for instance—has a unique audio quality all its own. There are so many more amazing tunes created with th 2A03 chip during the heydey of the NES, but we don’t have enough time or space to cover them all. Please accept our sincere apologies if we haven’t mentioned your favorite one here! These themes and others like them stirred the creative juices of an entire generation and managed to do something no one expected—forge an entirely new type of music. There is a fundamental difference between chiptunes, remixes and covers. Chiptune—a subgenre of music created with original NES, Game Boy and other 8-bit chips—is but one aspect of modern music with origins in the 8-bit sound era. Today, composing NES music is right at one’s fingertips with programs like Famitracker—one of the best NES music creation programs around—but this wasn’t always the case. Other artists use game boys, various synthesizers and other tools to create original NES style music. Whatever the instrument of choice, chiptune artists are doing some pretty amazing things these days. Chiptune is an expansive and fascinating genre in and of itself, with a long and detailed history and at least one academic study going in-depth into the style. In 2011, the BBC published a succinct piece on the genre’s true origins. An NSF file in action. Here's the Tedium-titled tune, by the way. NES homebrewer Brad Smith, of Lizard fame, actually composed the soundtrack for his game using Famitracker. He is also quite active in the chiptune scene, having composed his own music as well as some excellent covers, like this 8-bit version of Dark Side of the Moon. Bands like Anamanaguchi— who composed the theme used for older episodes of the Nerdist Podcast, “Jetpack Blues, Sunset Hues”— marry the original chiptune style with standard rock instrumentation. So, in any given song, you’ll hear a mix of past, present and future harkening back to the sounds from the original 2A03 era. — Famed Nintendo hardware hacker Kevtris (most recently of Analogue Super NT fame), in his file specification for the NSF format, which he invented in the late ‘90s. Short for Nintendo Sound Format, the NSF file is essentially a ripped soundtrack. It’s a bit more technical, however, as NES Dev puts it: “It is similar to the PSID file format for C64 music/sound, where one rips the music/sound code from an NES game and prepends a small header to the data. 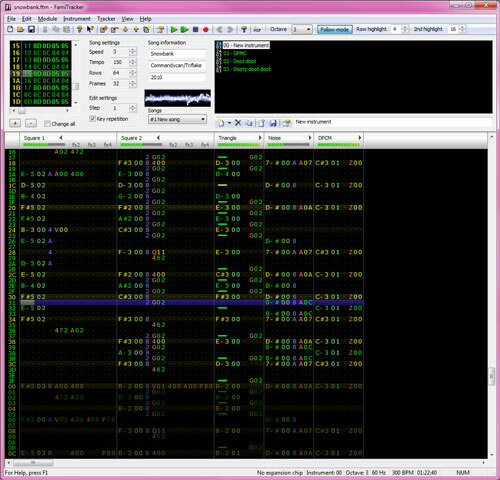 An NSF player puts the music code into memory at the proper place, based on the header, prepares sound hardware, then runs it to make music. An NSF can be played on NES/Famicom hardware or in an emulator (NSF player or NES emulator).” The NSF sounds great and can be played back through any NES emulator. If you’re looking for a great resource for NSF files, try out Zophar’s Domain, a place with great importance to Tedium—our own Ernie Smith worked with them in the early days. The 2005 album BRASS is the epitome of the metal-meets-Mega Man aesthetic. The now Arizona-based video game cover band (originally from Massachusetts), The Minibosses formed in the late ‘90s with a mission: to entertain the world with unique arrangements of NES tunes. Along with contemporaries Entertainment System, The NESkimos and The Advantage, the Minibosses are the pioneers of performing metal instrumental versions of classic NES theme songs. Though they have several albums available, BRASS is their most iconic and enjoyable. The instrumental only album contains ten metal infused Nintendo medleys, including a hard rock tribute to Castlevania, a percussive, drum-heavy look at Ninja Gaiden, metallic Super Mario Bros. 2, Double Dragon, Kid Icarus, Punch-Out, Metroid and a killer rendition of several themes from Mega Man 2. The album—along with much of their work—can be downloaded from the band’s official website—itself a relic of the late 90s. If you love guitars and Nintendo, BRASS is where it’s at—sans the turntables and microphone, of course. Though they may be one of the oldest video game cover bands (who are still touring today), they’re far from the only NES influenced musicians around. 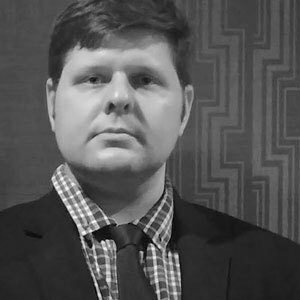 — Josh Breeding, founding member and lead singer/guitarist for NES tribute band The Megas, during a recent interview with Tedium. The California-based band has been at the forefront of the video game music cover scene for quite some time. 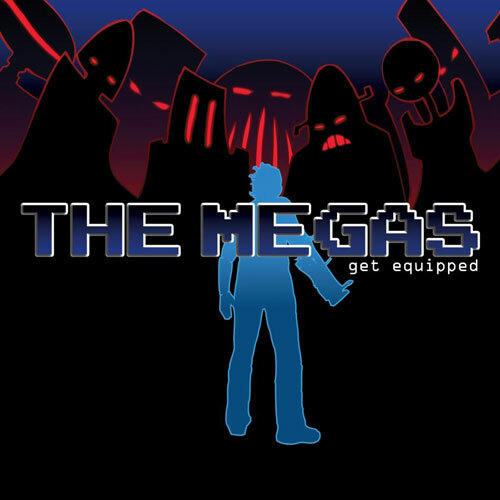 As their name implies, The Megas are a Mega Man inspired rock/metal band. The band began life as school project that never quite took off, but launched something much better. Their albums add lyrics and a story to the music from the Mega Man series of NES games, not unlike their glam-rock counterparts, The Protomen. Their albums Get Equipped, History Repeating (Red) and History Repeating (Blue), along with several demos, singles and EPs tell the story of Mega Man II & III in a fantastically rocking way. Here we see a band taking the story and music from an old Nintendo game and creating a brand new piece of art that can stand on its own merit. It certainly helps that Breeding’s favorite game is Mega Man II! Another group of stellar musicians based in Tennessee took these ideas further, creating an entire rock opera around the Mega Man story. 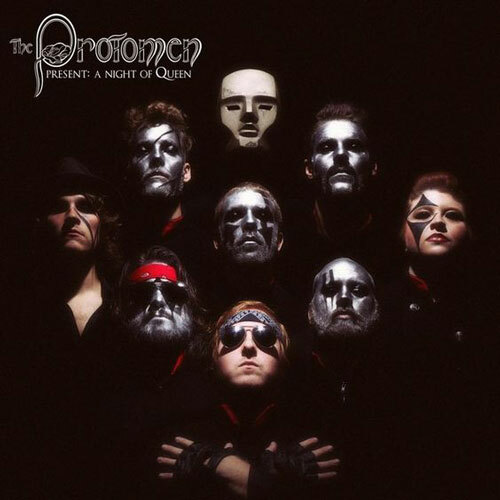 With a sound reminiscent of the 1970s prog rock scene and a penchant for the styling of the band Queen, The Protomen are a tour de force of Nintendo-inspired rock—but there’s is a story for another time. The year Random Encounter formed. The five-piece band not only explored the Nintendo themes of yore, but crafted their own unique brand of Nintendo-inspired music. Some of their albums include accordion and, prior to taking a hiatus in 2017, released an album of original game music—for a game that does not yet exist called Super Galaxy Squadron—and their latest masterpiece, Lost Frequency. It’s been nearly 25 years since the end of the NES era. Since then, we’ve seen rock and metal versions of music from the games, along with folk style interpretations, accordion based quintets, rock operas and orchestral concerts, humorous parodies with lyrics, and even a cappella renditions of Mega Man II and Super Mario Bros. 2 themes. Websites like Video Game Jam provide guitar tablature for a range of old and new game tunes, not to mention the official sheet music folios for the Legend of Zelda and Super Mario Bros series’ for piano and guitar. Nintendo must be at least vaguely aware of the fans love for music—the company has been packaging soundtracks with special editions for years. Two of the most recent games I’ve purchased—Metroid Samus Returns and Fire Emblem Warriors—both had soundtracks included in their special editions. Music is an important part of that experience for many gamers and helps to provide an emotional background to many games, whether it’s to pump the player up, tug at their heartstrings, mock them or provide atmosphere and suspense. The profound, inspiring effect this music has had on artists and musicians is staggering. It’s amazing what inspiration can come from a small, five-channel chip from the 1980s and the legacy of Nintendo music will probably live on for decades to come.